Prime Minister Narendra Modi spent a great deal of time on Saturday and Sunday in Karnataka and Uttar Pradesh — two states where the BJP is pitted against an alliance of Opposition parties. The two states together account for 108 Lok Sabha seats. Going by the size of the crowds and their responses, particularly those in Mangaluru on Saturday and Aligarh on Sunday, the BJP rank and file would not be wrong to claim that Modi’s popularity has remained intact between 2014 and 2019. This must be heart-warming for BJP leaders, more so because while in 2014, Modi was seeking votes against the UPA regime, this time around, he has been in power for five years. 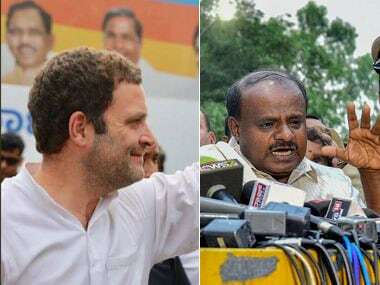 On Saturday and Sunday, the prime minister highlighted the negatives of his challengers – the Congress-JD(S) alliance in Karnataka, and the BSP-SP-RLD gathbandhan in Uttar Pradesh. After listing out his achievements, he said that the Opposition parties, faced with an existential threat, have come together with a singular "remove Modi" agenda. 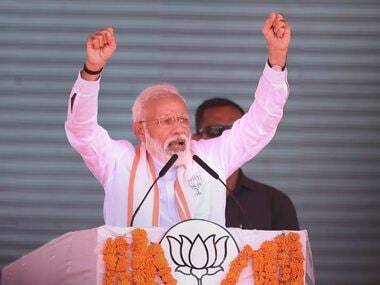 In his second leg of rallies for constituencies which would be part of the second and third phase of polling, Modi seems to have decided the date, 14 April, with a purpose — keeping in mind the birth anniversary of Dalit icon BR Ambedkar. At Aligarh, Modi spoke about Ambedkar at length, mentioned the work his government did to add glory to his legacy, and targeted BSP chief Mayawati on multiple counts. He raised the slogan of 'Jai Bhim', a chant that Dalit organisations across the country use to mobilise their support bases. He also exhorted the crowd to chant the slogan with him. His idea is to create a divide in Dalit votes, and garner a substantial chunk of non-Jatav Dalit votes (Mayawati is from the Jatav community). This would leave the BSP chief with only her core support base in the Dalit community. 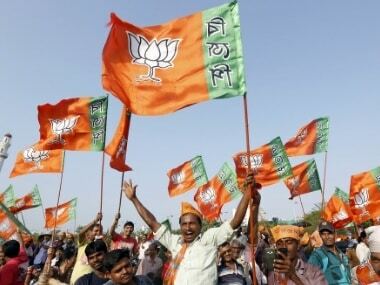 In the 2014 Lok Sabha election and the 2017 Uttar Pradesh Assembly election, the BJP succeeded in getting a fair share of votes from the Scheduled Castes. While the saffron party won 73 out of 80 seats in the parliamentary polls, it won over 300 seats out of 403 in the Assembly polls. Earlier, a Samajwadi party leader is said to have remarked about the prime minister, "Modi's chowkidari starts and ends with toilets." The remark came in handy for Modi to paint himself in a positive light. The prime minister also touched upon the issue of safai karamcharis across the country, who are mostly Dalits. He referred to Mayawati's barbs against him when he washed the feet of some safai karamcharis at the end of the Kumbh in Prayagraj. The act surely had political connotations, and Modi made sure he did not let it go. Offering a tribute to Ambedkar, Modi said, "It was because of the Constitution that Ambedkar gave that a Dalit (Ram Nath Kovind) could become the president of the country, a person of humble origins (Venkaiah Naidu) could become the vice-president, and a chaiwala (Modi) could become the prime minister." His attack on Mayawati’s prime ministerial ambitions was more direct. He said, “Is it possible that somebody who is not contesting even on 40 seats becomes the prime minister of the country?" Also, perhaps for the first time, he used Mayawati's earlier taunt for Akhilesh Yadav — 'babua' — to target the Samajwadi Party chief. On multiple occasions at Aligarh and Moradabad, Modi referred to Yadav as 'babua ji,' and sought to emphasise how the more seasoned Mayawati has taken the SP chief for a ride. Modi had surprised many on Saturday, when he came out of his SUV to wave at the crowd on both sides of the road in Mangaluru. While the venue of his rally was packed, what was perhaps more enthusing for him was the size of the crowd leading up to the venue, both when he arrived and left. In fact, at the rally, Modi quipped, "After I saw so many people on the road to welcome me, I wondered if the venue itself would be empty." While it is true that this region is a stronghold of the BJP and RSS, it must be emphasised that the stakes in this election are higher than before. The BJP needs to increase its tally in Karnataka, where it got 17 out of 28 seats in the 2014 election.